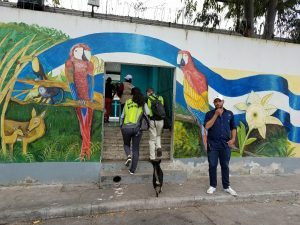 TEGUCIGALPA, Honduras – Though the Supreme Electoral Tribunal (TSE) stopped short of announcing that Honduras has a new president, many civil society members are celebrating a win. Twenty-five minutes after the announcement that challenger Salvador Alejandro Cesar Nesralla Salum was leading current President Juan Orlando Hernandez Alvaro, the firecrackers can still be heard in the streets of the capital, Tegucigalpa. With over 50% of the vote counted, the numbers announced close to 2 am on Monday morning, show Salvador Alejandro Cesar Nesralla Salum ahead of incumbent Juan Orlando Hernandez Alvarado 45.17% to 40.21%. 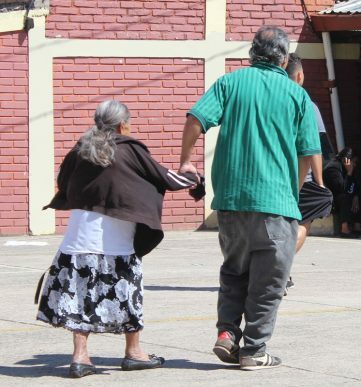 Voters also chose three vice-presidents, 128 national congress members, and 298 mayors and vice-mayors and the municipal councils under those mayors. 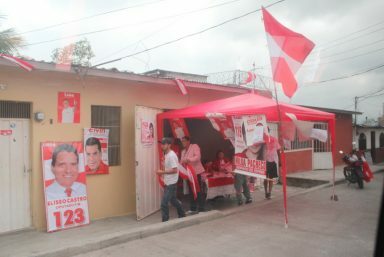 Nesralla’s candidacy was born out of the combination of two former opposition parties, Libertad y Refundacion (LIBRE), and Partido Anti-Corrupcion (PAC). The two parties united calling itself Opposition Alliance against Dictatorship with a main goal of defeating the ruling National Party. Members of the LIBRE and PAC were unsuccessful in 2015 in moving the administration to follow the constitutional law outlawing a second term presidency. Instead, Hernandez was able to appoint Supreme Court justices who illegally changed policy allowing Hernandez to seek a second term. 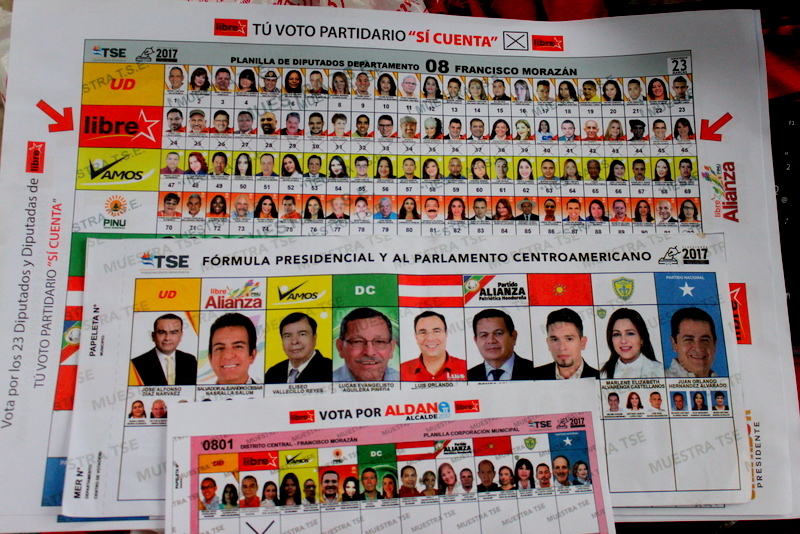 In 2009, this same party accused sitting president Manuel Zelaya of attempting to seek a second term, but the general population denies this saying that Zelaya was asked by the people to run again, and to put the question to the voters in the form of a plebiscite, which Zelaya attempted to do. International governments and media were quick to follow the narrative of the National Party, and with that inference of support, ousted Zelaya in a military coup in June of 2009. After an unexpected delay in announcing results (partial results were promised in early afternoon) onlookers began to surmise who was leading judging from the facial expressions on members of the TSE who did the announcing. The TSE that is controlled and overseen by the National Party that Hernandez represents, operates elections including setting policy, counting, verifying, officiating, and makes official announcements. Hernandez’ diminishing popularity is said to originate from different sectors of civil society including the poor, farmers, students, teachers, labor unions, and others. Many accuse his administration of corruption especially in how the government fudges the homicide rate to portray the Hernandez administration in a better light. 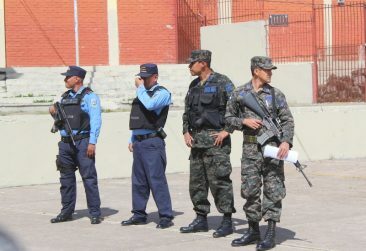 A confrontation at Instituto Separacion San Francisco in Tegucigalpa took place when a voter was seen turning in an already completed ballot that marked all National party candidates. Similar election irregularities occurred in the 2013 election as reported by The Nation Report. Mishandling of voter IDs, outdated voter lists, buying of votes, voter intimidation, threats of loss of government benefits, and assassinations all were reported again this year. 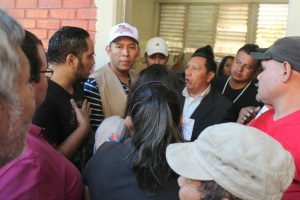 This election however, one US human rights observer reported that he himself was witness to a vote-buying incident which appeared to him to originate from a National Party and Hernandez supporter. The Nation Report has chosen to withhold his name, because of possible immigration retaliation for his role. He describes what happened after a police officer was approached by a woman who said she was promised money to vote for the National Party candidates. 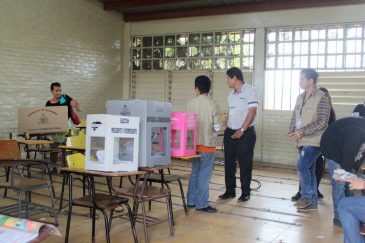 International human rights observers enter a public school where one voter precinct was located. 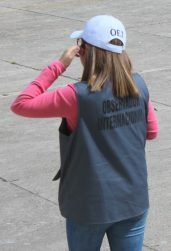 Fearing that the incident was photo documented, about 30 National supporters approached the observer and his colleague, yelled accusations of entrapment, of being from the opposition political party LIBRE, and of “pretending” to be human rights observers. 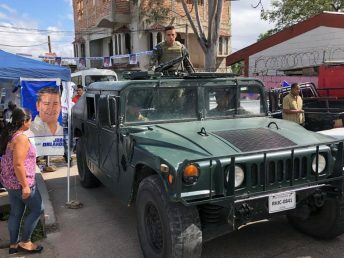 “[I]as a direct witness to vote buying, intimidation, and an overall highly sophisticated and yet crude and shameless manipulation by the ruling party to assure the illegal re-election of U.S. ally Juan Orlando Hernandez. Was also witness to the always-inspiring spirit of resilience and resistance of the Honduran people, and I have no doubt that whatever the final announced results, people here will continue to organize and struggle for a more just Honduras and world. Major international media outlets were quick to prematurely and mistakenly announce Hernandez as winning a second term. Following weeks of portraying the Hernandez administration in a favorable light, including crediting him for diminishing homicide rates, many media sources predicted Hernandez’ win right up to the minute of the TSE announcement to the contrary. Some outlets go as far as to omit the full name of the opposition party calling it only “Opposition Alliance,” omitting Dictatorship from the party’s full name. “In plain view of the international community and in blatant defiance of his own government’s founding documents, Mr. Hernández is inching closer and closer to authoritarian rule and all-out dictatorship. 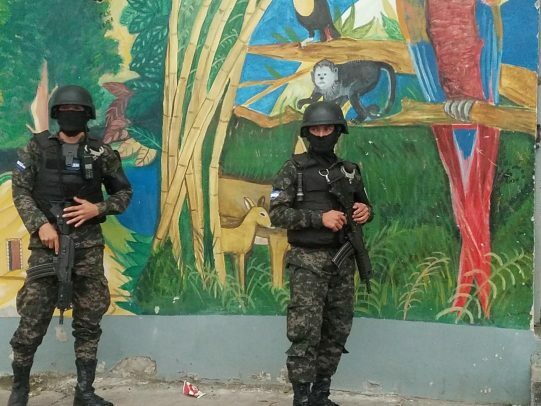 This entry was posted in Civil Rights, Elections, Human Rights, Militarization, Politics and tagged Honduras, juan orlando hernandez, manuel zelaya, salvador nesralla, tribunal electoral suprema. Bookmark the permalink.